Fifty-seven years have passed since that snowy night in Iowa on February 3, 1959, when a plane crash took the life of Lubbock-born musician Buddy Holly. He was 22 years old. Also killed in the crash were California musician Ritchie Valens, who was enjoying newfound fame from his hit La Bamba; J.P. “The Big Bopper” Richardson, a disc jockey from Beaumont whose recording of Chantilly Lace launched his singing career; and pilot Roger Peterson. Special events are slated for Feb. 3 at The Buddy Holly Center, 1801 Crickets Avenue, Lubbock, (806) 775-3560. Each year, on the anniversary of Buddy’s death, the Center staff places a spray of yellow roses on Buddy’s grave, located at the City of Lubbock Cemetery at 31st Street and Teak Avenue. Lubbock visitors looking for reminders of Buddy Holly don’t have to look far. For starters, one of the main downtown thoroughfares is named Buddy Holly Ave. It runs north from 25th St. to just past 1st St. Buddy Holly Plaza, at 8th St. and Ave. Q, features a larger-than-life-size statue of the singer-songwriter. The bronze work anchors the Buddy Holly Walk of Fame, which honors West Texas musicians and artists who have achieved national or international acclaim. 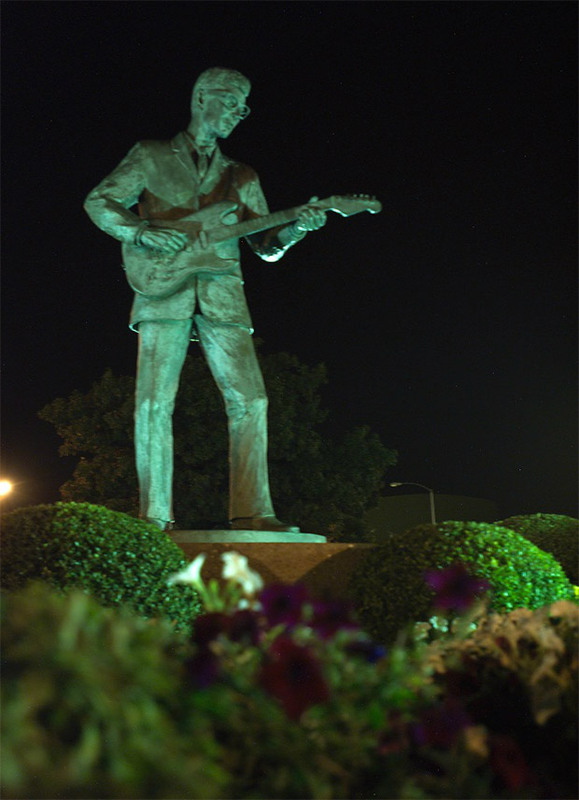 The adjacent Buddy Holly Terrace pays tribute to Lubbock-area citizens who have made significant contributions to the region’s art, music, and entertainment. Always open. Admission to both sites is free. Wheelchair accessible. The three musicians, part of an all-star lineup touring the upper Midwest in a show dubbed The Winter Dance Party, perished immediately when their four-passenger Beechcraft Bonanza plunged into a cornfield shortly after takeoff. In a tragic twist of fate, Holly’s bass player on the tour, fellow Texan and future “outlaw country” star Waylon Jennings, had given his seat to Richardson at the last minute, opting instead to take the bus to the tour’s next stop in Fargo, North Dakota. Born Charles Hardin Holley in Lubbock on September 7, 1936, “Buddy” Holly started performing as a teenager, playing mostly country and bluegrass songs for local dances. Holly made his first recording (of Hank Snow’s song My Two-Timin’ Woman) in 1949, but his musical career gained momentum in 1953, when he began to appear regularly with musician Jack Neal on local radio station KDAV’s live Sunday-afternoon broadcast The Sunday Party. By 1955, when Holly and his band opened for Elvis Presley at Lubbock’s Fair Park Auditorium, he had begun to make the switch from country to rock-and-roll. Soon, Holly was perfecting a blend of a jangly guitar sound and distinc-tive vocals that would define hits like Peggy Sue, Oh, Boy!, Maybe Baby, and That’ll Be the Day. As Hartman notes, Holly’s influence on popular music was widespread and lasting, with artists including Bob Dylan, the Byrds, Bruce Springsteen, Linda Ronstadt, and the Rolling Stones acknowledging Holly’s impact. Perhaps most famously, members of the fledgling Liverpool band The Quarrymen were so taken with the 1957 song That’ll Be the Day, the No. 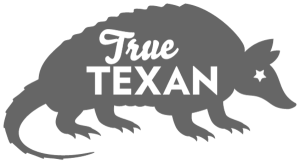 1 single Holly recorded with his band The Crickets, that they recorded the song themselves as their debut track. In 1960, the Quarrymen rechristened themselves the Beatles, reportedly in tribute to the Crickets. Bassist Paul McCartney considered Holly’s music so influential, writes Hartman, that he “purchased the entire Buddy Holly song catalog when it became available in the 1970s.” Rave on, Buddy.